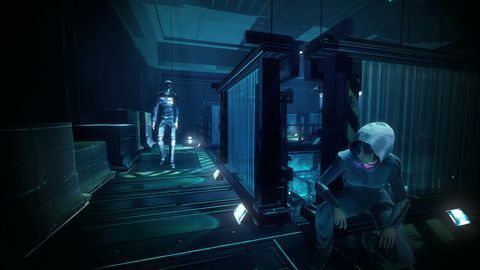 Republique is a hit on mobile, but can Camouflaj's story-heavy stealth title escape that platform's limitations and find repeat success on PC? Chris Brown talks us through its intricacies. A phone rings. “You have to help me, they want to erase me! They want to erase who I am!” It is with these words delivered in a panicked whisper that we are introduced to Hope, a young woman kept captive within a massive prison like facility known as the Metamorphosis. She’s been found guilty of possessing banned literature and scheduled for ‘recalibration,’ and you must help her break out of her cell, avoid the Prizrak security forces, and ultimate escape the city of Metamophosis. 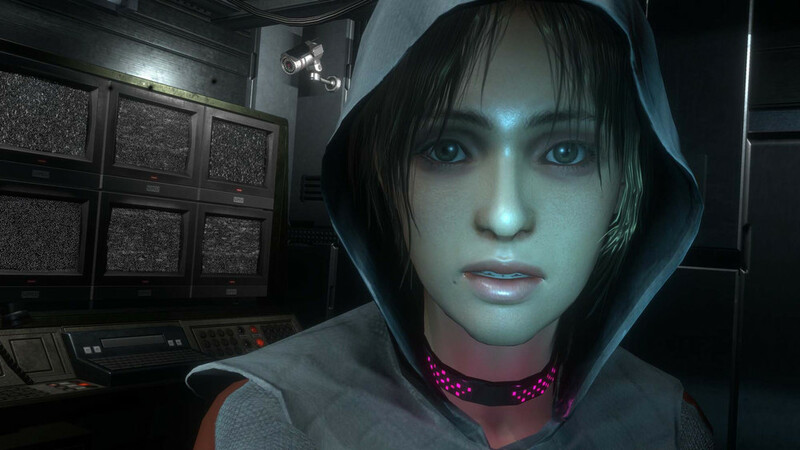 In many ways, Republique Remastered plays like a traditional point-and-click adventure game. 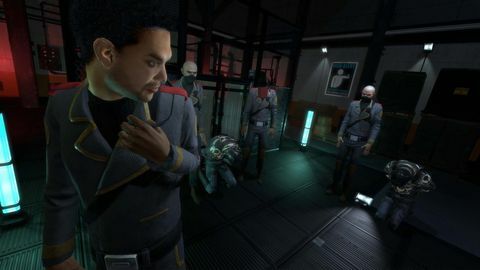 Pressing the spacebar will freeze the game and bring up an ‘MNI View’ interaction software interface, which is very reminiscent of traditional adventure game UI. It allows you to highlight and interact with or hack items within the environment including doors, keypads, security monitors, and various other electronic items. The most common use of the OMNI View is to hack and control cameras, which are literally your eyes into Metamorphosis. Clicking on a camera will switch your viewpoint to the selected camera, allowing you to see a room from a different angle and possibly some previously obscured items in the process. Switching views can also provide access to other parts of the facility not yet accessible to Hope, but seeing as your way into the network is via Hope’s phone, the range is limited. With the OMNI View you partially control localised areas of the facility, and can obscure Hope from view, disable locked doors, hack security monitors, or redirect Prizrak guards away from her location. It is slightly disappointing that despite the freedom you are given in interacting with the game, it does not provide a more open way of solving each problem barring Hope’s progress. The limited puzzles are all quite simple, and for the most part getting through a locked door or past a guard is a fairly simple process, with only one real solution and with no real challenge offered. A mouse-driven interface replaces the touch controls of the game’s mobile version, and it works almost flawlessly, at no point feeling tacked-on or unnatural. The pared-back nature of Republique’s interaction mechanics are elegant in their simplicity, and seldom feel limiting. This is not the hacker god fantasy that Watch Dogs aimed to be, but it succeeds in creating an experience that is far more reactive and immersive within its limited scope. The same careful consideration has been given to the visuals. At launch, Republique was lauded as one of the most graphically-impressive mobile titles, and developer Camouflaj has obviously worked hard to bring a similar level of polish to the PC. As such, it takes advantage of the Unity 5 engine’s improved texture quality and post-processing effects. It’s not a graphical powerhouse, but it more than stacks up against most newly-released PC games. Even so, what Republique does best is story. By channelling Orwell’s 1984 and also taking inspiration from more recent youth-targeted entries of dystopian fiction, it manages to successfully bridge the gap between the unrelenting oppression of the former and the optimism of the latter, while exploring the theme of government surveillance. Hope is the lynchpin holding the entire experience together. She is a product of her upbringing – aloof and mistrusting, but also highly capable – and as the story progresses, she resembles less and less the scared girl of the opening scene. Her evolution feels natural, and her admittedly limited interactions with other characters never hit a wrong note. The game world itself is also given the same level of care, and is a primary character that helps shape the story. Details of the people and the politics are gradually uncovered through careful examination of items found within the world. Voice logs, notes, confiscated books, and overheard conversations all collectively create a rich and convincing picture of a world where artistic expression, choice, and free-thinking have been outlawed, and where a totalitarian regime ruthlessly crushes all opposition. 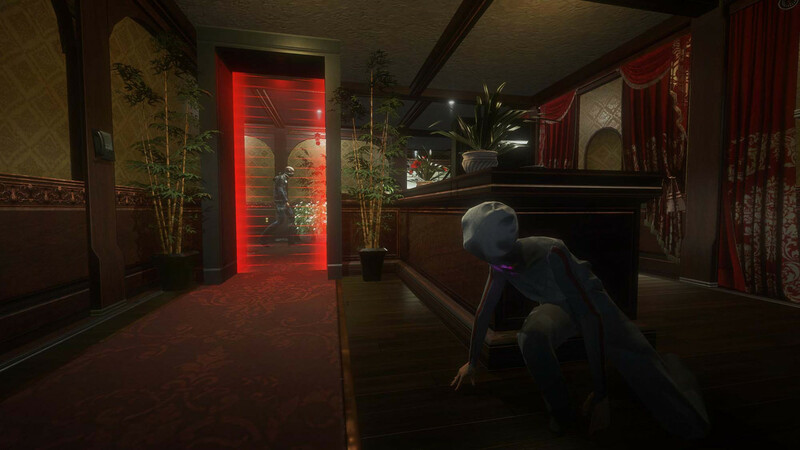 With Republique, developer Comauflag has created a compelling narrative with a solid game backing it. The game’s mobile heritage does not detract from the experience, and even though its lack of complexity and challenge – particularly in the later stages – can make it feel a little pedestrian, it’s an interesting game that’s well worth exploring. The biggest frustration here is that it is still incomplete, with two chapters yet to be released. While not as complex or challenging as many stealth games, Republique still manages to provide a unique and interesting game experience, and its strong narrative focus and rewards for exploration make it well worth picking up. Ups Interesting story and world. Great visuals. An interesting take on the stealth genre.